On every camino, as is in life, we have Angels. These are the people that come into our lives, seemingly quiet, and leave an unforgettable footprint on our lives and especially hearts. On the Camino you will always have a Camino Angel – and most likely several of them. These are the people who cross your path along The Way, and in one way or another help you, provide inspiration, pick you up off the side of the road and make sure that you make it to the end. They heal your pain (physical or emotional), provide much needed friendship and camaraderie along the way. And leave a life long footprint on your hear. When I waked part of the camino for the first time in 2013, it was the first time that I caught on to this phenomenon. That time, my Angels included: Neil, George & Alan – my three Camino big brothers who made sure I was OK for the first day on the road (and found me a bottle of Bubbly on my 30th B-Day, so we can celebrate in style). Leigh Ann, who was my Camino mom along the way. 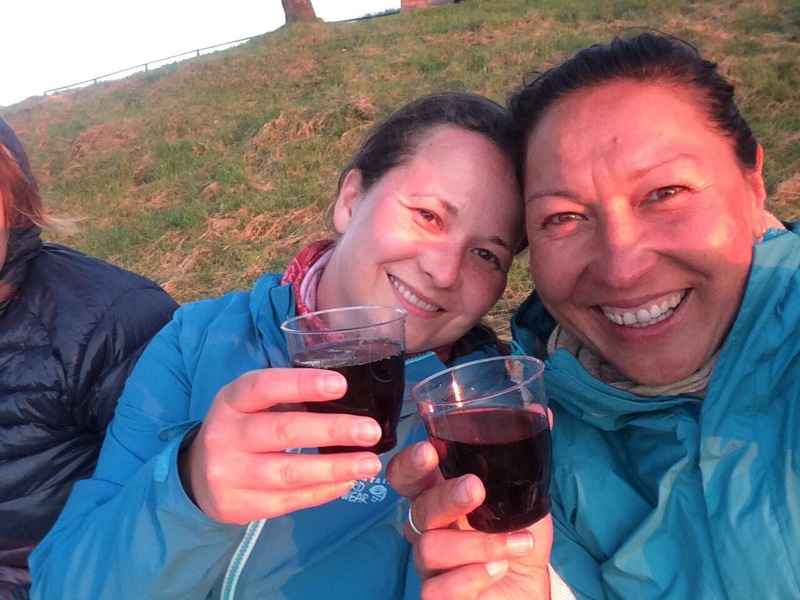 She taught me the ins and outs of the Camino, and more importantly how to ‘try’ to prevent the blisters. Alexia & Melissa – the Angels that picked me up off the side of the road (when I wanted to quit) and gave me the strength to continue. And Mat, a a lovely man who was given to me by St. James so that I didn’t have to cross the finish line and arrive in Santiago by myself. 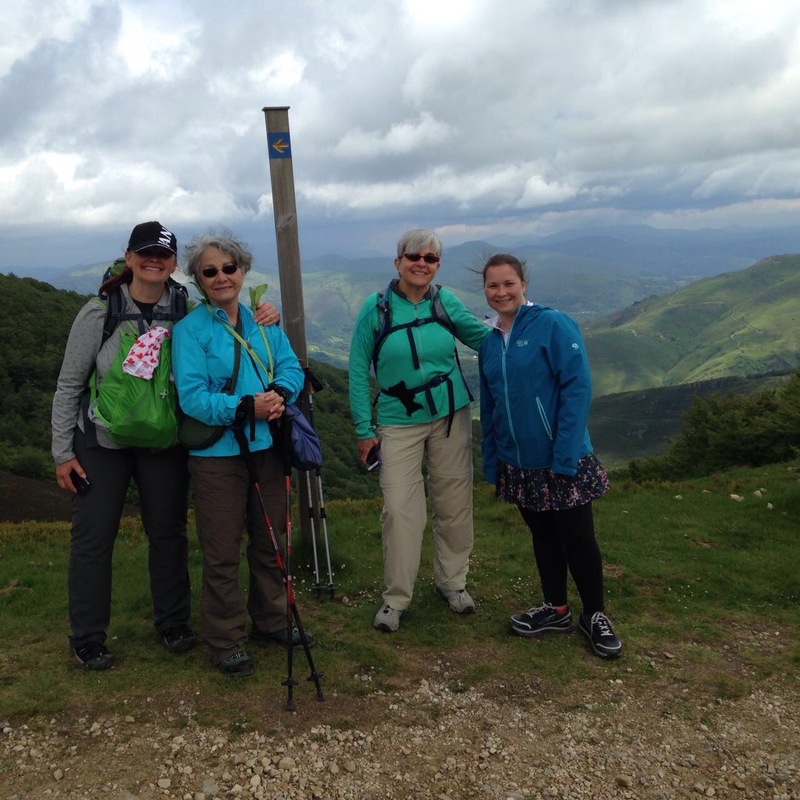 This time around, yet again, there were several people along the way who I can proudly call my Camino Angels. There was Kim, my Holly Mother, who upon my arrival to a tiny village with no more empty beds, popped out of a sweet little B&B and announced that she reserved a bed for me (that is if I wanted one – Heck Yes, I want a bed!). Penny the Canadian – who was a true inspiration to us all. There is Tony, who walked with us for two weeks and was like a big brother to Siera and I. Tony made sure we were always ok, comfortable, fed and had plenty of Tinto de Veranos to keep our spirits high along the way. And his always sunny and positive disposition almost always put a smile on our faces. 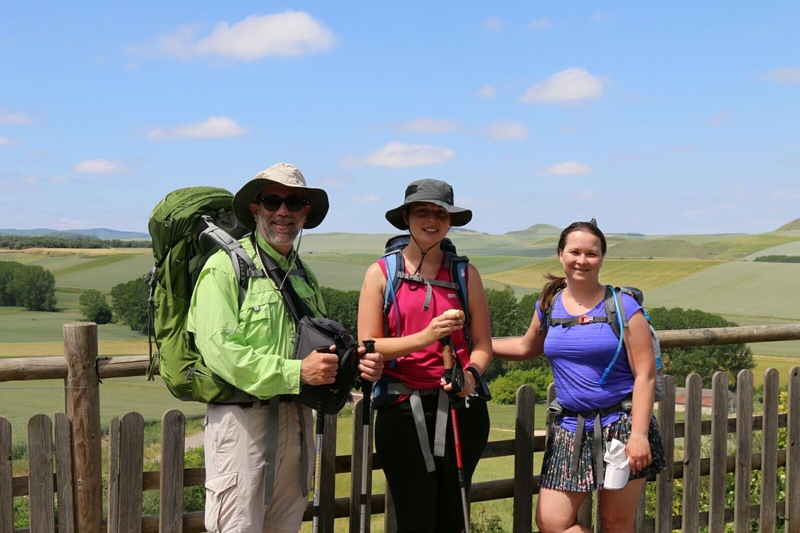 There was Sierra, a Camino sister who along the way shared the morning struggles, and the lies about distance signs along the way. Lovely Heather with her two tubes of Camino Crack (i.e. DeepBlue Rub) that saved all of our feet. Lisa who gave me her poles when mine walked away. There was Danielle, an Italian Physiotherapist who fixed my knee (and everyone else’s leg/feet problems) which allowed me to continue walking with almost no knee pain the next morning. And finally there’s the Finishing Fun Committee – this group of fascinating people made sure we all had a blast along the way – Dianne, Salva, Kiki & Fusco, Bertha and Natalie. 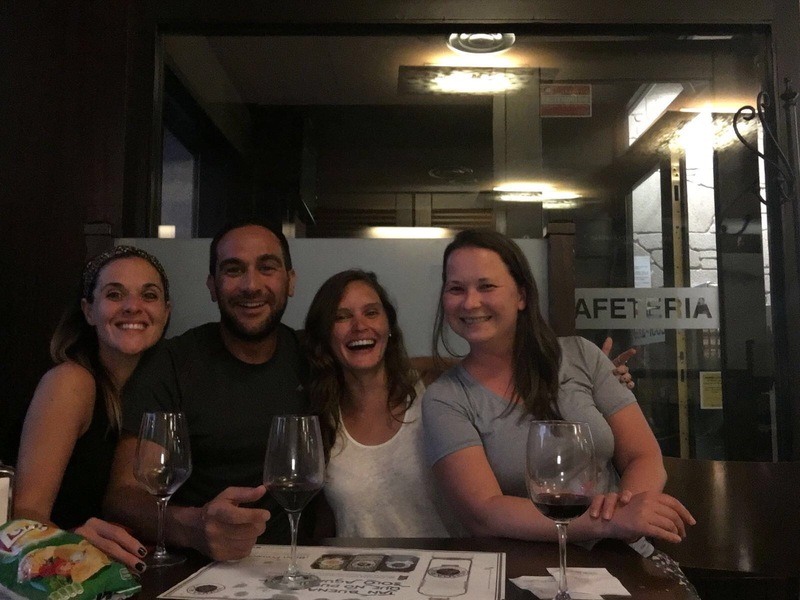 This was the evening crowd with a sprinkling of various other Camino friends, who at the end of each day (and often at the bars & cafes along the road) made sure that everyone was smiling (and drinking) at all times. We ate delicious food, drank fantastic wines and more importantly, thoroughly enjoyed each other’s company. These are my Camino Angels who will forever hold a special place in my heart. I miss you all and I hope I get to see you soon! Lovely article Nina .. miss you and the camino !!! !